Do DUI/OVI Laws Apply to All Types of Vehicles? Ohio statutes call the offense of driving under the influence of alcohol or drugs “operating a vehicle while intoxicated.” This very intentional use of the awkward term OVI instead of DUI allows police and courts to enforce drunk and drugged driving laws as widely as possible. So, yes, any person in control of any vehicle can face a DUI/OVI charge in Ohio. Intoxicated pedestrians can only face disorderly conduct or public drunkenness charges, providing they commit no other criminal offenses and are older than 21. What Does Ohio Consider a Vehicle? Why Is a Bicycle a Vehicle? Ohio joins every other state in classifying bikes as vehicles. Lawmakers made this decision in the early 1900s in order to let bike riders use public roads alongside motor vehicles. Making bicycles vehicles for legal purposes also subjects riders to most traffic laws, like stopping at red lights, using lights and reflectors at night, and yielding right of way when turning and approaching pedestrians in crosswalks. Exactly How Do OVI Laws Apply to People Not in Cars or Trucks? Age, blood alcohol concentration (BAC), and drug use laws apply equally to everyone who operates a vehicle. For instance, a boating while intoxicated charge will be brought against an adult found to have a BAC of more than .08 while riding a personal watercraft. A teen riding a bike home from a party could face an OVI for having a BAC of more than .02 since Ohio sets a lower legal limit for people younger than 21. And, as a final example, a moped rider can be stopped at a DUI checkpoint and asked to perform field sobriety tests. Another aspect of OVI enforcement that can sometimes work in favor of people who get charged with OVI despite not driving is that a police officer must have a reason to suspect that an offense is occurring. Except at preannounced and tightly regulated checkpoints, law enforcement personnel cannot randomly stop drivers and accuse them of driving under the influence. The same goes for boaters, bike riders, and pilots. 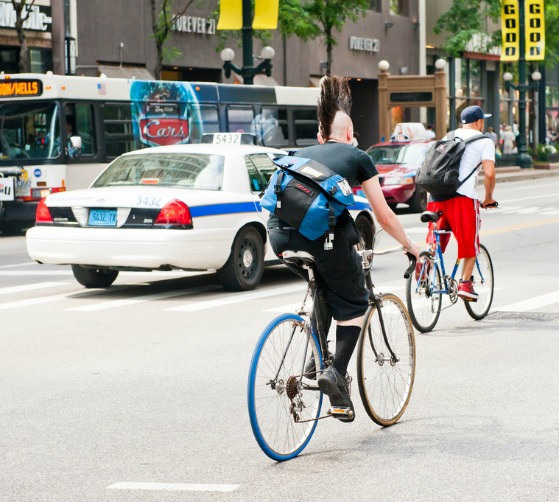 Making a stop of a bike rider for suspicion of OVI stand up in court requires the arresting officer to present incontrovertible evidence that the bicyclist violated a traffic law, acted intoxicated, or possessed and consumed drugs or alcohol while the officer watched. Hiring a Columbus, Ohio, driving under the influence lawyer can be particularly helpful for holding a police officer accountable for justifying an OVI stop and arrest when no car or truck is involved. You can learn more about unusual applications of drunk and drugged driving laws in Columbus, OH, by contacting an OVI attorney with The Maher Law Firm. We offer free consultations and welcome boating while intoxicated and biking under the influence cases. Call us at (614) 205-2208 or connect with us online.